"A kid was like, ‘Hey man, do you freestyle?' And I was like, ‘Nah.' I always say no first." "In the high schools, they find out pretty quick," says Trevor Weller. The Mount Oliver native got a degree in physical education from Slippery Rock in 2007 and has been moved around as a substitute and full-time teacher at various Pittsburgh elementary and high schools since. What the high school students tend to find out, though, involves his other career: In his time away from the classroom, Weller travels and competes in the increasingly popular battle-rap circuit under his alias, Real Deal. "I had a funny incident at Perry High School," he says. "A kid was like, ‘Hey man, do you freestyle?' And I was like, ‘Nah.' I always say no first, because usually they're like, ‘Let me hear something,' or ‘Let me hear a 16,' and you're at school, trying to be a professional. "So I think I told the kid I didn't, and then I caught him in the back of the room looking at one of the battles, and he was like, ‘Man, you killed it!'" 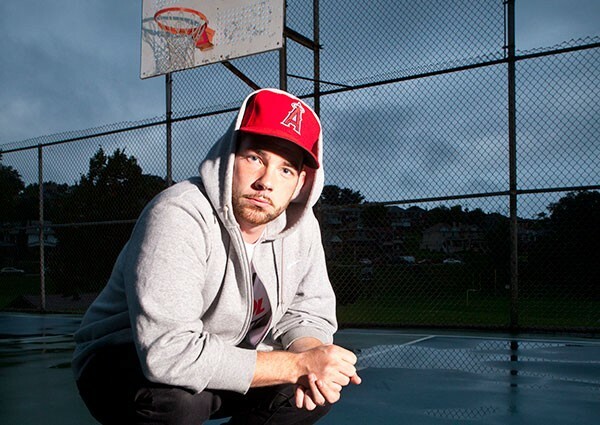 An accomplished battle MC today, Weller's interest in the hip-hop sub-genre sparked around 2007. He developed his battle-rap and freestyling skills competing in local events such as Rhyme Calisthenics, which challenges MCs to spin a game-show-style wheel and perform a variety of written and spontaneous unwritten rhymes. A five-time winner, Weller proved to be one of the city's toughest competitors. "He's an amazing battler, but he's an even more extraordinary freestyler," says Rhyme Cal host Thelonious Stretch. "He was doing stuff in his battles that no one else was doing. This dude was not only battling, he was writing full storyboards with characters. "Anybody who says that freestyling isn't impressive, they get their head shoved up their asses often," Stretch continues. "It takes a lot of brain capacity, and it requires fast thinking with witty remarks. You've gotta have a well-rounded vocabulary and be well rounded with any topic. He knows what's going on around him, and what's going on in the world, and that's what makes him fast and witty because if you don't know anything, what are you gonna talk about?" Weller adds: "The freestyling was always my bread and butter, because people are so much more impressed by the ability to come off the top with something as opposed to something you wrote." In addition to Rhyme Cal, Weller aspired to compete in one of the era's premier battle-rap tournaments, Scribble Jam, which was a long-running annual event in Cincinnati, Ohio. "I found out about Scribble Jam in '06," he says. "I was like, ‘I gotta be there.' Scribble Jam was all freestyle. Like, 45-second rounds over the beats. They didn't even tell you who won in the battle, because there were, like, 32 MCs. You just waited to see if your name was called for the next round." Weller competed in Scribble Jam in 2007 and 2008; he made it to the second round both years. He explains that he could see at that time that the freestyle aspect of the trend seemed to be coming to an end, as prepared, pre-written battles seemed to be taking off. It was around this time that a battle league called Grind Time was starting to develop. One of the league's founders, Sonny Bamboo, approached Weller about competing in their Midwest division. "My first Grind Time battle was in Indianapolis," Weller says. "Then I went out to the West Coast; I was traveling and I was winning a lot. And then a lot of the times in the Midwest they weren't able to get me an opponent worthy of what I earned, so I'd host a lot of them and then I brought the event to Pittsburgh." Having graduated college by this time, Weller had to find a balance between furthering his two careers — as an educator and as a battle rapper. "At the time, I was substitute-teaching. So, substituting is a lot easier to take off — you don't get paid, because you don't work. For the first couple years I was doing that, and then I got contracted." At first, he was split between two positions, at Arsenal Elementary and West Liberty Elementary. Now, Weller is teaching phys ed at Lincoln Elementary, where he is contracted through the end of the school year. He released his album Fight or Flight Mode in March. In July, he was featured on BET, where he was part of a live battle-rap showcase that led to him trending on Twitter. Recently, he battled in Toronto at an event that was sponsored by Drake — further showing that battle rap is being embraced by the mainstream. But even as Weller's second career takes off, he's committed to his first. "Once I got contracted," he says, "some of the teachers saw [my battle rap videos] and they were just like, ‘Man, that's awesome that you do that.' Obviously, they weren't telling the kids to look, but I think most of them recognize that it's a way that I can reach out to some of the kids. "A lot of kids in the inner city are really into hip hop. It's not like [it's] when I pull a kid to the side when he messes up that I rap. But I think they can detect when you've experienced their culture a little bit. "I just recently had a kid reach out who said I [substitute-taught] him at Carrick," Weller recalls. "He said, ‘Man, I'm trying to work hard on this music, you're definitely an inspiration with what you do and how you did it while still holding a positive job in the community.'"